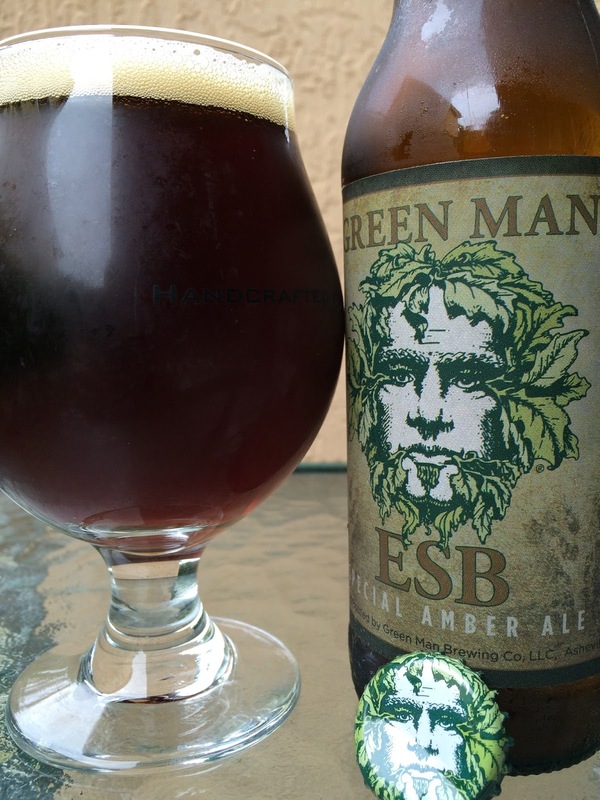 After thoroughly enjoying Green Man Brewing's Porter a few weeks back, I decided to check out their ESB this afternoon. I do like the "Green Man" sketch on each bottle. 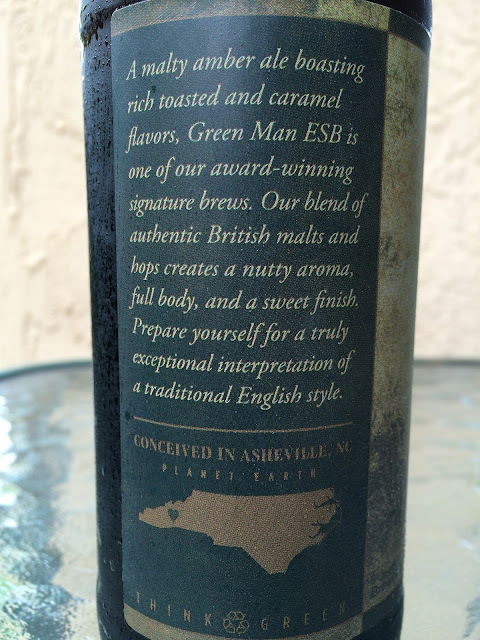 A little story on the back sets your expectations for this "exceptional interpretation of a traditional English style." 5.5% alcohol. 32 IBU. Caramel aroma with some herbal and hoppy pops. Flavors the same, leading with caramel and herbal maltiness. Coffee grounds, tea. Sweet and bitter, interesting. Decent body. And a smoky finish? Pretty fun all around with many unexpected nuances!